With head office based in Derbyshire and networks throughout the UK, we are able to offer a speedy response time in order to meet our client’s needs. We are certain that if our services are used once, they will be used again due to our customer satisfaction guarantee. There are too many rogue traders within construction. All of our workforce are 100% CSCS registered with site related qualifications an absolute requirement for anyone working within our team. We will not send anyone to site that does not hold the above. We take Health and Safety very seriously with both internal and external qualified personnel. Our documentation more than meets the industry standards and we are a member with Chas and Safe Contractor. 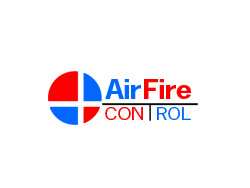 We also consider the environment a great deal and carryout our Fire Protection works responsibly. Our main office is located at a Renewable Energy Environment Centre in Derbyshire. All visitors are most welcome. We are fully FIRAS accredited for fire stopping, fire boarding, intumescent, fire door installation and fire door maintenance.